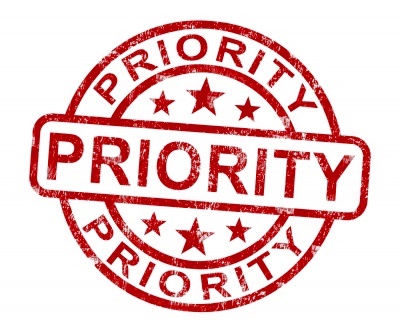 June 7, 2015 by Heather Lee 2 comments on "Priorities"
You read an article about how easy it is to organize your life when you prioritize. You’re inspired, so you sit down to brain about your daily tasks and make a plan to accomplish more each day. Yeah! Then you realize the laundry is still in the washer, your life isn’t that simple, and you’re getting a headache. So, you abandon the braining and return to Netflix, because Downton Abbey. Oh wait, that’s me.